If you have tooth sensitivity or pain when you chew with your back teeth, the surfaces may be damaged. One option for restoration is the use of an inlay or onlay made of metal, composite resin, or porcelain. Inlays are very strong and shaped to precisely fit a hole in a damaged tooth. The choice of an inlay or onlay depends on how much decay and tooth loss has occurred. An inlay resembles a filling and fills a small part of the tooth, while an onlay covers one or more of the cusps on the top of the tooth. In other words, an inlay fills a hole without changing the shape of the tooth, while an onlay builds up the tooth surface to restore its previous dimension. The procedure begins with a thorough evaluation, oral x-ray, and an impression. The damaged area will be removed and then the inlay or onlay will be formed to perfectly fit your tooth and bite. While it is being made, your tooth will have a temporary restoration piece to cover and preserve the vulnerable area. Finally, the inlay or onlay will be placed and permanently bonded to the tooth. Since the procedure requires removal of damaged tooth material, restoration fabrication at the lab, and the placement on the tooth, it will take a few appointments to carry out the process. Inlays and onlays protect the tooth from further degeneration, provide natural function, and are durable and inconspicuous. Dr. Martin Buchheit has been restoring teeth since 1987 for patients of all ages. Koch Park Dental – Martin L. Buchheit, DDS is located in Florissant though we treat patients from the surrounding communities of Chesterfield, Maryland Heights, and St. Charles. 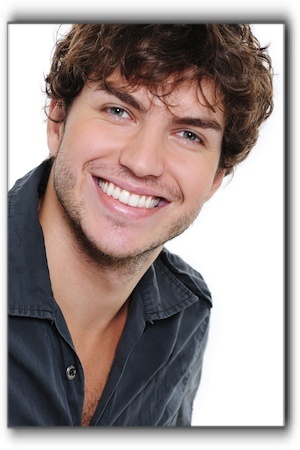 Our dental services include cosmetic dentistry, and general dentistry. Make your appointment today!